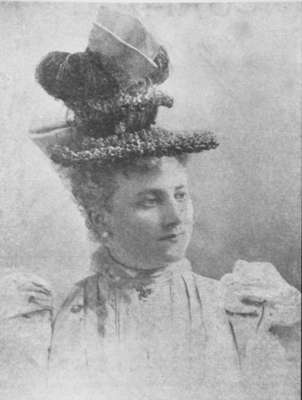 A black and white portrait of Flo Irwin wearing a large hat. At the time of this photo, Flo Irwin was appearing in "The Widow Jones" at the Grand Opera House. Flo Irwin was the sister of May Irwin.